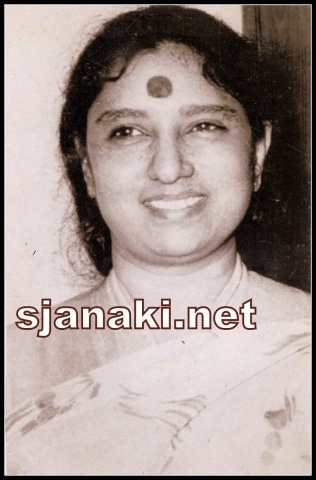 S Janaki, the songstress who played a prominent role in the world of south Indian film music needs no introduction, The voice which expressed deep hidden feelings of a village girl equally emoted most modern notes of urban. The Voice which expressed the pain in love expressed the sensuous notes with same ease. The anger, shy, laughter and every emotion enjoyed its very existence in her voice. The beautiful voice has crossed the boundaries of ages and erased the limitations in singing and gave life to the thoughts of several music directors and lyricists across the country. She not only sang in various languages but also achieved unparalleled glory in every language. A singer who had been a young girl with lots of enthusiasm working with maestroes S Rajeswara Rao, KV Mahadevan, Viswanathan, Pendayala, Dakshina Murthy, Subbiah Naidu, Rajan Nagendran and the likes has equally excelled in works with the melody makers of next generation Sathyam, Chakravarthy, Johnson, Shyam, Ramesh Naidu and many more, and continued the journey with third generation of Madhavapeddi Suresh, Vandematharam Sreenivas, Deva, SA Rajkumar. But her works with few music directors need a special mention. She had been favourite of M S Baburaj of God’s own country Kerala and was equally patronised by Kannada genius GK Venkatesh and no need of any special mention for her musical coordination with Maestro Ilayaraja in Telugu and Tamil !!! She worked with wide range of Legendary singers as well. Starting from the legendary singers Ghantsala, T M Soundar Rajan, P B Srinivas to the singers of recent generation Mano, Vandemataram Sreenivas she gave some wonderful melodies which can never be forgotten. Her works and co-ordination with legendary P Susheela, ever young LR Eeswari, classically trained Vani Jayram and the likes are still adored by one and all. Let it be ever fresh voice of SP Balasubrahmanyam or classic voice of K J Yesudas or folksy favourite voice of Malaysia Vasudevan or melodious Jayachandran or Legendary Singer-Actor Rajkumar, her voice just blended with melody. The voice which competes with violin, flute, nadhaswaram equally matches the highly modern instrumentation of Rahman. She sings for a kid with innocence and speaks in the language of a sixteen year old girl and expresses the feelings of a middle aged woman and the tiredness of the Old women. This site is a humble tribute to her melodious journey and a sincere attempt to explore her music. We wish a healthy and prosperous life to our beloved Janaki amma through Sjanaki.net. Please note that songs provided here are only for evaluation and not intended to do shopping or for any commercial purpose.To enjoy the sheer magic of her music, please buy only original CDs and mp3s!